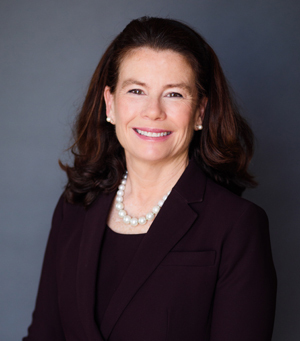 Betsy Manifold is a managing partner of Wolf Haldenstein’s San Diego office. Ms. Manifold practices in complex class actions representing clients including institutional investors such as public and labor pension funds, labor health and welfare benefit funds, and private institutional investors who suffered losses due to corporate fraud. She has extensive experience in antitrust law and has been at the forefront of several notable federal class action antitrust actions on behalf of consumers. Ms. Manifold has over twenty years’ experience in wage and hour law and has favorably litigated noteworthy class actions on behalf of workers. She is a member of the Firm’s litigation team that recovered over $7 billion for investors and over one hundred million for workers. Ms. Manifold is a member of the Investor Protection, Consumer Protection and Labor and Business Practice litigation groups with an emphasis on unfair and deceptive practices law, wage and hour law, securities law, derivative law, brokerage disputes law, arbitration representing broker dealers and ERISA. Ms. Manifold joined the firm in 1988 as an associate and became partner in 2000. Serves as lead counsel on behalf of indirect purchasers in the national antitrust suit filed against canned seafood manufactures including Bumble Bee, Starkist, and Chicken of the Sea. Litigated cases to trial, including arbitrations and administrative proceedings, and received favorable verdicts for her clients. Represented shareholders in state court when seeking executive board, executive compensation and corporate governance changes in publicly traded companies. Served as co-lead counsel in high profile federal multi-district litigation matters in the US including in securities class and derivative actions representing institutional and individual investors, which resulted in the recovery of hundreds of millions of dollars and significant corporate governance reforms against companies. Represented plaintiffs in the first federal class action over a disputed copyright related to the world’s most famous song, Happy Birthday. Good Morning to You Productions Corp. v. Warner/Chappell Music, Inc.. By way of this groundbreaking litigation and the successful outcome Wolf Haldenstein achieved worldwide acclaim. Co-lead counsel representing college football players in a federal class action wage and hour case against the NCAA and PAC 12 alleging that the defendants failed to pay minimum wages to the plaintiff and all other PAC-12 football players in violation of California and federal laws. Lead Counsel on a case of first impression that successfully classified truck drivers, who were formerly classified as independent contractors, as employees under the California Labor Code. The case against Lowe’s Home Centers was settled in 2008 on the eve of trial giving each driver an average recovery of over $5,500 with some getting as much as $60,000. Ms Manifold is a member of the various institutional investor trade organizations such as the National Association of Public Pension Attorneys, the Council of Institutional Investors, the National Conference on Public Employees’ Retirement Systems and the California Association of Public Employees’ Retirement Systems. She is also a member the American Business Women’s Association. Certificate from L’Institut Des Etudes Politiques, Paris, France.